Homeschooling through high school can be tough, for both parents AND students! What do you do if your child needs extra help, or wants additional studies in a specific subject area? What if they want to start taking some college courses at home? If you’re anything like me, you’ve probably spent a great deal of time thinking about transcripts, admissions, student loans and everything else that goes along with high school and college, as well as how much all of that COSTS. There are free courses available online. Free. Online. Available to everyone. Organizations like the Saylor Foundation have made college/continuing education courses available for a while, but recently launched open online K-12 courses (Saylor Foundation Launches Open Online K-12 Courses)! Their course selection is limited right now, but they do plan on adding more as they can. Immediately available is an American Literature course, as well as a couple of math courses. Oh, and all of these are aligned to the common core state standards! In addition to the Saylor Foundation, major universities are opening up certain online courses for high schoolers. Stanford, Berkeley, MIT, Duke, Harvard, UCLA, Yale andCarnegie Mellon are just some of the major schools offering free courses right now! From Quantum Mechanics, to Classical Greek Civilizations, to Current Media Studies (and everything in between), there is something for everyone. These courses would be great for beefing up transcripts (imagine applying to a college or university, already having college level courses under your belt!). They would also work well as a complement to your traditional curricula. If your high schooler is still undecided about what they want to pursue in college, trying out some different courses would be a fantastic way to explore career interests. And one last suggestion as to why you might want your child to enroll in one or more of these courses: keeping their brains engaged and sharp over the summer! If your high schooler wants to attend a specific college/university, definitely check their course listings and see what they have to offer as dual enrollment or pre-college options. Can i earn high school credit from the courses offfred? Hi Destiny, you'll have to click through the links in the article above, do your own homeschool with your own records, or look into your local public school online version of homeschool. If you are currently enrolled in a public school, you will need to enroll in an online course that is accredited and recognized by your school (that is, if you want the credit to count toward your required graduation credits). If you are homeschooling, you can choose any of the courses listed on our directory or in our Guides to Teach... Finally, if you just want to take the course simply to gain the knowledge... you can choose any online course that interests you. Just browse our directory right there on our home page or here at our homeschool guides https://letshomeschoolhighschool.com/tag/homeschoolers-guide/. hi i am a current 10th grade student and was wondering if there are any online websites where i can take free high school classes so i can possibly be ahead of the game. i would be doing this on my time after school. is there any way you recommend free online classes for me? Hi Elizabeth, The online classes that we are referring to in this article are classes that you can take at your own pace. They are free and accessible to anyone - and of course - you could take them. Can I do classes online and still be in school ? I would like to futher my education and to graduate. Hello I am sixteen and in search of a course that will not only encompass my recklessly fast pace but also will help me learn Russian. I have certain complication when it comes to languages and writing. do you have any suggestions? Hi Cassandra - you might want to try a personal tutor if you need extra help. Homeschooling is great to help you focus... as long as you are self motivated. hi I need help I cant seem to focus in a public school with a bunch of people I prefer to be at home or in some other school that doesn't have many students and plus my grades are really low I cant seem to bring them up as much as I try I just cant seem to bring them up please I need help ... can u help me? This site is actually not a provider of homeschool curriculum, but rather a resource for guiding parents and students through the process of homeschooling high school. If you are new to the idea of homeschooling in the high school years, you may want to check out our "Absolute Beginner's Guide To Homeschooling High School," which will hopefully enlighten you on where to start your homeschooling journey. 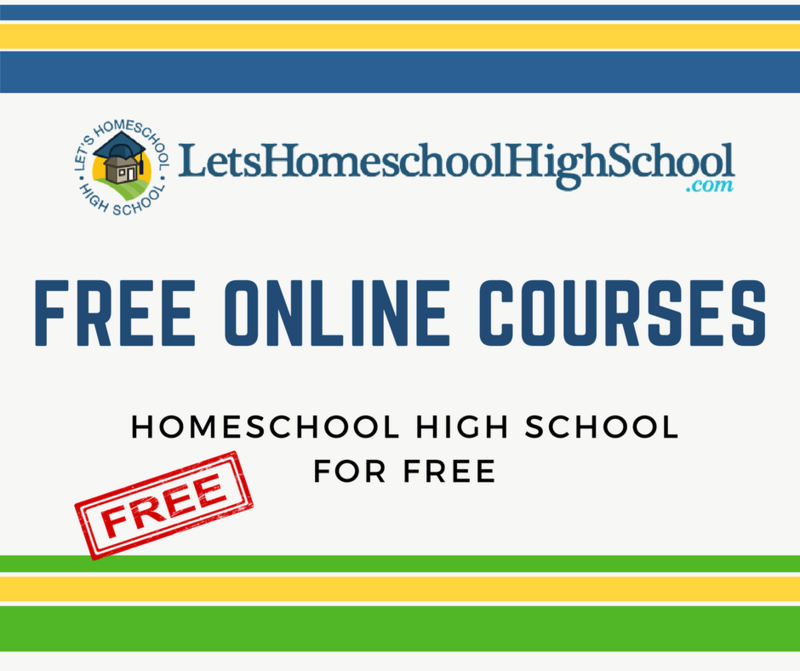 We have many other resources here at LetsHSHS.com including a full high school homeschool curriculum directory, a directory of online high schools, forums for asking questions and sharing concerns, and tons of articles and resources to guide you through most any step of the process of homeschooling high school. We hope you will explore everything our site has to offer and that we can be a genuine help to you as you start your homeschool adventure! Hi Desiree, I completely understand your situation. You can feel free to look at the resources that we have here on LHSHS. It sounds like you are almost to your goal! Just keep working at it, and you'll have that diploma in no time! Hi I have a problem. See I never finished high school. I'm 18 n my class graduated last year. I had only one class to go but ended up having my son. I couldn't balence a new born and school but I will do any thing for my diploma. I only have one class to go before I'm finished and maybe a couple end of the year senior tests. So what can I do. Hi Hailey, so glad you joined us... I'm sorry to hear that you are struggling. I would suggest finding out what your state guidelines are for homeschoolers, then determining which type of online curriculum you think will be best for your learning style. Once you've determined that check out our curriculum directory. There are alot of free offerings there, and others that are very affordably priced! If you have any other questions - hop on over to our student forum and ask away!! I'm in high school 9th grade and I'm failing all my classes second semester this year. I'm thinking of taking online classes so I can work at my own pace. I needed information or suggestions on what I should do. Any ideas? Daisey, I would say to look over the online resources that are free and listed on the site. I am not sure what your current situation is...but if you dropped out of school you can look into going back to the grade level that you last completed. Since you are technically an adult I would think that a simple GED test would get you on your way to going onto college or other specialized training school you are interested in pursuing. I wish you best of luck and if you have any further questions please PM me! Hi im 18 alomst 19 and was in foster care as a child, i never had a chance to graduate but now id like to try, what do you suggest for someone with no parents or guardians? Im not happy at all in school I need to go to school online ive made my decision. Our site is not an online school. However, we do offer alot of tips to help you find the perfect homeschool. Check out our curriculum directory to see if you can find one that is right for you! i want to take online classes and am in high school. Our site is not a school. We offer many resources for homeschooling a high school student. We do have a curriculum directory listing various curriculum and online resources. I suggest you take a look at it. Time4Learning now offers high school courses. Need online as son was taken out of public school due to peer pressure and low grades.